Chevy Chase is set to reprise his role from Hot Tub Time Machine in the upcoming sequel Hot Tub Time Machine 2. Last month, Adam Scott signed on to replace John Cusack, although he will play a completely different character. However, John Cusack revealed on his Twitter account last month that he is open to come back in a cameo appearance, if the producers, "ask nice." 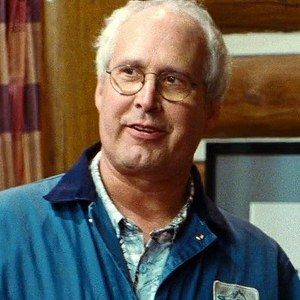 Chevy Chase is returning as the unnamed hot tub repairman, who is always quick to dole out advice, in the comedy sequel, although it isn't known if he will have a larger role this time around. He joins original stars Craig Robinson, Rob Corddry, and Clark Duke. Steve Pink is directing from a screenplay by Josh Heald. No story details have been confirmed for this follow-up. Star Craig Robinson revealed in March that production will begin sometime this summer, although that has not been confirmed as of yet. Chevy Chase was set to reprise his role as Clark Griswold in the Vacation reboot, before the project was indefinitely delayed in April. GIVEAWAY: Win a Hot Tub Time Machine 2 Pool Party Kit!